West State Billiards & Gamerooms is a great source for billiards, shuffleboards and all game-room items. Whether you need games for indoor or outdoors, we have the best brands and selections. We focus on good personal relationships with our manufacturers and suppliers, this enables us to get the customization right-on and products turn around times in a timely fashion. We love to do custom projects and we bend over backwards to get the customer exactly what they have in mind. Whether your looking for Rustic, Modern, Traditional or anything else do yourself a favor and see what we have to offer. We have been serving Southern CA since 1946. 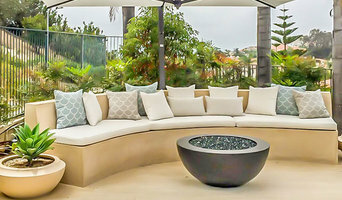 Brenda Ziegler, local Newport Beach seamstress, has been creating indoor/outdoor cushion slipcovers, pillows, curtains, and more for interior designers and homeowners in and around Orange County for years. An expert in her field with 30 years of experience, Brenda provides complimentary in-home consults for clients and can measure and create the pattern at the client’s home so their furniture never has to leave the house! Brenda will handle the foam ordering and you can ship your fabric direct to Brenda – or she will pick up. The goal is to make it as easy as possible for you and your client to get gorgeous, custom slipcovers and pillows for all your indoor and outdoor needs. Orange County's TV Lift Cabinet System Specialist - 4X Best of Houzz! Interchangeable upholstery nails encompassing genuine crystals and natural stones. You too can easily and instantly enhance or update any of your interior environments and designs by adding Diamond Head Upholstery Tack! * Diamond Head Upholstery Tacks add value to every application * Diamond Head Upholstery Tacks provide total flexibility and customization to your design * Diamond Heads – an innovative upholstery nail that will increase furniture appeal and add depth of design. * Solid, beautifully plated steel cradles Genuine Bohemian Crystal stones in a silver, gold or black settings. * Diamond Head Upholstery Tacks come in 21 stone options, 5 size options and 3 metal options * Apply to Walls, Ceilings, Frames, Cornice Boxes, Crown Molding and Furniture of all kinds! * PROUDLY MADE IN USA! Since you’re here, you’re probably a lot like us: creative, practical, caring, and ready to inspire a better way. We are inspired to do things right and keep things simple. We believe in protecting our environment as if it were our home, and finding creative solutions to help you organize your home. In short, we are Way Basics. We have created a way to turn paper, the most recycled item in the world, into a storage solution for your home. zBoards are made almost entirely (99%) from post-consumer recycled paper, and do not consume additional natural resources like trees and the enormous amounts of water needed to make virgin paper. Our patented, environmentally sound manufacturing process turns this post-consumer recycled paper into superbly strong boards that weigh 62% less than particle board with unmatched quality and durability. In short, we transform recycled paper into simple, modern, tool-free solutions for your home. Laura Frances Began working with canvas as a sailor in her teens. Knowing the importance of quality materials and workmanship, she has applied these elements to her craft. Her canvas furniture covers exemplify craftsmanship and attention to detail seldom seen today. Her products are available in only the highest quality materials in a variety of designer colors and textures. Each piece is painstakingly custom-fitted and handcrafted to provide the perfect fit. Take your time on any buying decisions. If contemporary is your style, don’t buy something traditional because it’s on sale. Many California home furnishers offer interior design consultations or room planning guides to get you started. Whether you decide to work with a home decor specialist or to become your own expert, it’s important not to rush the furniture-buying process. 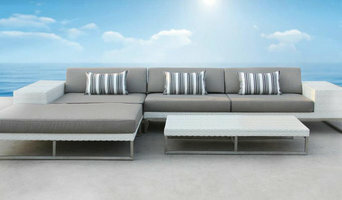 Visit plenty of Irvine, CA showrooms and stores so you can feel comfortable with your purchase. Find furniture and accessories manufacturers, showrooms and retailers on Houzz. Narrow your search in the Professionals section of the website to Irvine, CA furniture and accessories, then choose the nearest metro area for showrooms and retailers. Or you may want to look through California photos to find designs you like and contact the furniture manufacturers and showroom galleries directly.